Your air conditioning system goes into overdrive during summer. This season may be the time for some fun in the sun but you certainly don't have to feel hot all day long - especially when you're at home. The summer months are great for some downtime. This is the theme of summer: experience a lot of outdoor fun. It's when you do decide to come home and rest that the hot air is not so welcomed. During this time that you spend indoors, you rely on your air conditioning system to keep the house cool and fresh. With well-maintained air ducts and a functioning AC, this is certainly not a problem. The issue however arises when you're in dire need of some air duct cleaning "thanks" to dusty and possibly even contaminated air. Air ducts function well when they're not clogged up with debris. The debris is typically a collection of dust, dust mites, hair, dander and pollen. For some systems that have been exposed to water damage, mold and fungi may be part of the mix. This whole combination is extremely dangerous to your health - breathing is this air can seriously harm your immune system and can lead to an increased predisposition to getting sick. Some other obvious health signs that you need professional air duct cleaning are allergic reactions such as hay fever and sneezing. When is it Time to Opt for Air Duct Cleaning? Aside from the obvious health warnings, one other signal that you need professional air duct cleaning is when your air conditioner just isn't able to cool off your house properly. This is easily noticeable when you compare your air conditioning system's cooling performance this summer to last year's. You should be able to feel a reduced working power and an overall diminished efficiency all over your home. When you hear that it starts to sound like Darth Vader breathing, it is really time to take action! If you're a do-it-yourselfer, you'll be tempted to grab your vacuum and a ladder to try and fix your ventilation system. Home air duct cleaning is however a very big task that is all too much for the average DIY-er. This is because there are areas that just cannot be reached with the typical home appliances. It's also possible that these hard to reach areas may have some damage to them that needs to be fixed. Having a professional do the cleaning will also make it easier for you to have them also perform air duct repair services when needed. 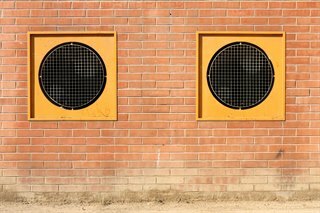 Now that you understand the huge importance of having a clean and proper-functioning ventilation system it is time that you check out and see if your own is really working well. If not, you know who to turn to for help!